While there is no universal model for terrorist operations leading up to an attack, past experiences have demonstrated common principles and plans. During this stage, terrorists will collect information on a number of potential targets that will have been selected based on intended objectives. The information on these targets is gathered by members of the terrorist cell, sympathizers, or people providing information without knowledge of the intended purpose. Potential targets are screened based on the intended objective and assesses areas such as symbolic value, critical infrastructure points of failure, expected number of mass casualties, and potential to generate high profile media attention. Targets that are considered vulnerable and which would further terrorist goals are selected for the next phase of intelligence collection. At this stage, targets that show weaknesses will receive additional attention and priority of effort. This priority establishes the requirement to gather additional information on a target’s patterns over time. Practices/Procedures/Routines – This includes scheduled deliveries, work shift changes, identification procedures and other observable routines. Transportation/Routes of Travel –This includes types of vehicles allowed on the grounds, or availability of transportation into the target site. Security Measures – This topic includes presence of a guard force; the reaction time of response units; any hardening of structures, barriers, or sensors; personnel, package, and vehicle screening procedures; and the type and frequency of emergency reaction drills. This is one of the most important areas of information for attack site selection, since an intent is to bypass and avoid security measures and be able to strike the target during any period. Does success affect a larger audience than the immediate victim(s)? Will the target attract high profile media attention? Does success make the desired statement to the correct target audience(s)? Is the effect consistent with objectives of the group? Does the target provide an advantage to the group by demonstrating its capabilities? What are the costs versus benefits of conducting the operation? A decision to proceed requires continued intelligence collection against the chosen target. This stage gathers information on the target’s current patterns, usually days to weeks. The attack team confirms information gathered from previous surveillance and reconnaissance activities. The areas of concern are essentially the same as in Stage 2 but with greater focus based on known or perceived vulnerabilities. Recruit specialized operatives (if needed). Procure a base of operations in the target area (safe houses, caches, etc.). Design and test escape routes. Decide on type of weapon or attack. As with conventional military operations, rehearsals are conducted to improve the odds of success, confirm planning assumptions, and develop contingencies. 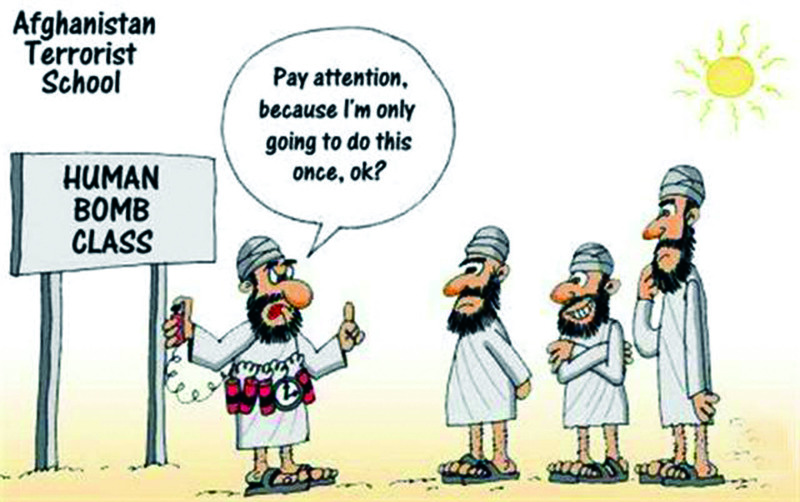 Terrorists also rehearse to test security reactions to particular attack profiles. Terrorists use both their own operatives and unsuspecting people to test target reactions. Equipment and weapons training and performance. Staging for final preparatory checks. Target information gathered to date. Physical layout of target or operations area. Security force reactions such as state of alert, timing response, equipment and routes. Once terrorists reach this stage of their operation, the odds favor a successful attack against the target. Choice of time, place, and conditions of attack. Employment of diversions and secondary or follow-up attacks. Employment of security and support positions to neutralize target reaction forces and security measures. Because of the extensive preparation through surveillance and reconnaissance, enemy security measures will be planned for and neutralized. Escape plans are usually well rehearsed and executed. The exception is a suicide operation where the impact is enhanced by the willingness to die in achieving the attack. In suicide attacks, there are usually support personnel and handlers that require escape or evasion from attack response forces. Exploitation is the primary objective of the operation. The operation must be properly publicized to achieve an intended effect. Media control measures and prepared statements are examples of preparations to effectively exploit a successful operation. These will be timed to take advantage of media cycles for the selected target audiences. Successful “Predictive Profiling” breaks down both the planning and execution of a terrorist attack into an “Adversary Method of Operation” (AMO). This approach allows security and law enforcement to centre their attention on the way terrorists work as opposed to focusing on who they are. By Red Teaming your organisation and thinking like a terrorist, you will be able to refine possible AMOs from which you can develop suspicion indicators. Next Article: What is a Suspicion Indicator?